The gabled patio cover has contrasting hardieplank and cedar finishes with a vaulted pine tongue & groove ceiling. The firepit has a modern look with the multi-colored slate seat and back on the bench and the blue fyre glass inside the firepit. The flooring is travertine in the raised patio area and a stamped concrete overlay on the driveway. 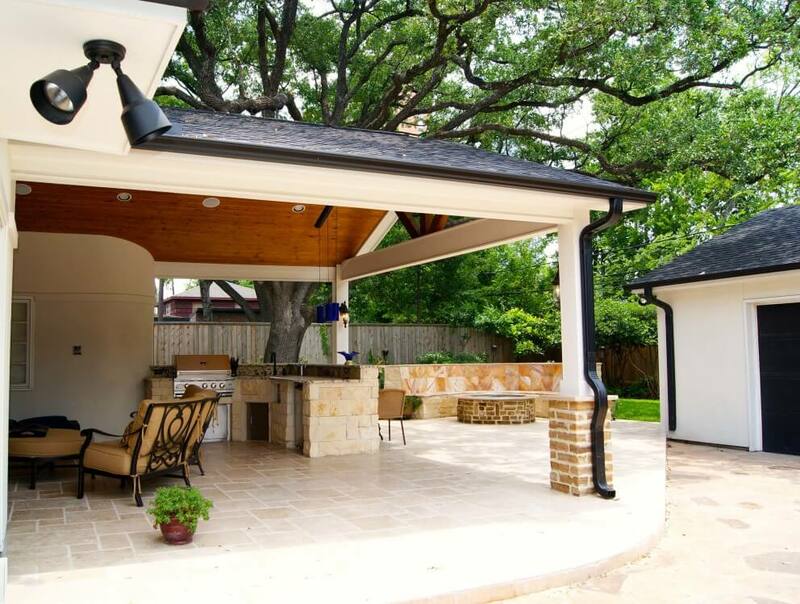 Most Texas Custom Patios projects include wiring for a television. Some projects include elaborate audio/visual packages.